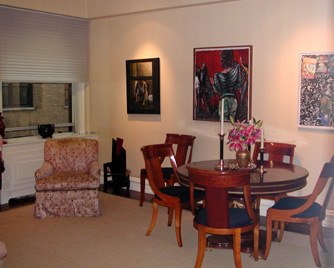 This is a beautiful prewar 7-room apartment in good condition with an elegant layout. A 20?? entrance gallery opens onto a 25?? living room with a wood burning fireplace. 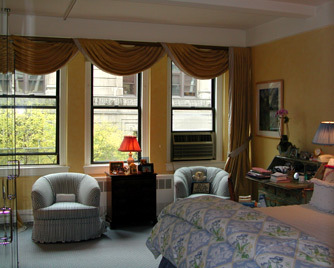 The living room and two of the three bedrooms face south over 85th street. It is a charming view of a tree-lined street and a stone church across the way built at the turn of the century church. 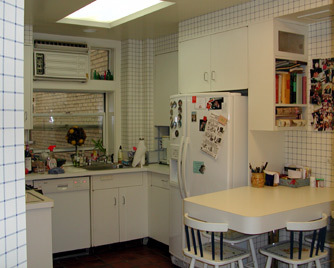 There is an eat-in kitchen and a washer/dryer. 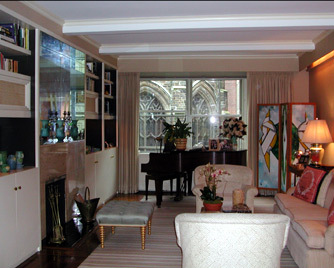 This unit was decorated by David Kleinberg. Building Notes: 45 East 85th Street is a 43-unit co-op with 9 stories built in 1925. The building has a full staff including two doormen at the door. 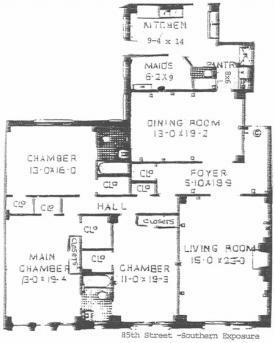 It has storage and a bike room.